It’s undeniable. 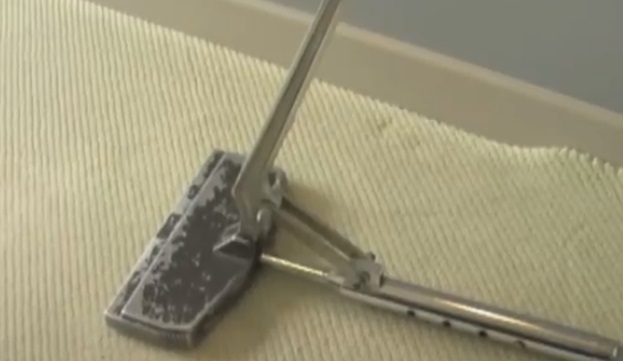 Like anything in your home, your carpet changes significantly over time. Due to constant traffic, heavy furniture, rough-housing pets and years of cleaning and vacuuming, carpets rarely look the same after a few years. They get flat, dull and dirty, and they just don’t have that luxurious feel they had when you moved in. Many times, as carpets age, they get bumpy. Waves, wrinkles, folds and bubbles develop, giving your home a messy and unkempt look. These bumps can also pose a danger to you and your family and trip you, your children or your guests. Because of this, carpet bumps needs fixing fast. But what does that fixing entail? Well, you could opt to replace the carpet entirely. Unfortunately, that’s going to cost a pretty penny, and it’s not money most families just have lying around. The better option? Our Burnaby carpet re-stretching service. Just like it sounds, carpet re-stretching involves pulling up your carpet, stretching it out, straightening it and realigning it. It requires no patchwork or additional material, and it’s a quick, easy and affordable way to banish those bumps and waves. Carpet stretching can also restore a carpet’s luster, making it look fresh, new and elegant like it did the day you moved in. This is an excellent benefit should you ever consider selling your property. If you regularly move furniture (particularly heavy furniture), this can also cause wrinkling. A carpet re-stretching can fix these minor issues in no time. Stop tripping in your own home, and give your carpet the refresh it needs. Our Burnaby carpet stretching services are affordable, fast and hassle-free, so call us today to get started.